NEW YORK (CNN) -- As prosecutors asked to jail Bernard Madoff for 150 years, a U.S. District Court judge Friday entered a preliminary order calling on the convicted Ponzi schemer to forfeit more than $170 billion in assets, prosecutors announced. Prosecutors said the sentence would ensure chairman will stay in prison for the rest of his life. Madoff's wife, Ruth, will be allowed to keep $2.5 million in funds "in settlement of the claims she would have otherwise brought against the property," acting U.S. Attorney Lev Dassin said. Madoff, who pleaded guilty to 11 counts, including fraud, money laundering and perjury, is to be sentenced Monday. The forfeitures amount to all of his assets. Included in the forfeitures are millions of dollars in loans made to family members, employees and friends, all personal property, including paintings, jewelry and furniture, millions of dollars in investment and banking accounts and several pieces of property. Meanwhile, Dassin filed paperwork with the court Friday asking that Madoff be sentenced to 150 years to ensure that the former NASDAQ chairman would remain in prison for the remainder of his life and "promote general deterrence." Madoff's multibillion-dollar Ponzischeme is said to have defrauded thousands of investors under false pretenses. The scheme, which spanned decades, has generated a fraud loss of more than $13 billion. "This is more than thirty-two times the baseline level of loss that would carry a sentence of life under the U.S. Sentencing Guidelines," Dassin wrote. Madoff promised his clients a high return with limited risk, but in reality early investors were paid with later investors -- and nobody realized huge gains. Some of the victims of the scheme included individuals and nonprofit organizations. "His so-called 'investment business' was a fraud; his frauds affected thousands of investors in the United States and worldwide," Dassin wrote. 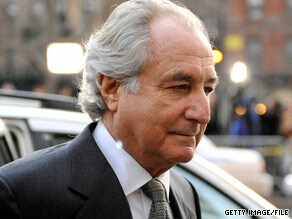 Madoff pleaded guilty on March 12 and has since been in jail at the Metropolitan Correctional Center in Manhattan. Madoff's lawyer believes his 71-year-old client should serve only 12 years in prison.